For the last quarter century, the Schlatter family has guided the Profile Collection with vision, integrity, and a passionate commitment to quality. Working closely with acclaimed winemaker Simon Faury, proprietors René and Laurence Schlatter strive to advance the focus and refinement of our legacy with each vintage and generation. 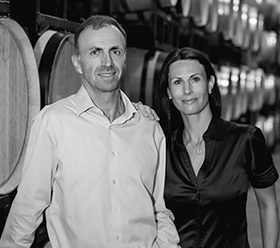 René and Laurence grew up in the same small town near Geneva, Switzerland, but somehow never met until Laurence’s brother introduced them at the Merryvale tasting room in St. Helena. When her brother became René’s roommate, the two continued their conversation every time Laurence called her brother at the house. Within a few months Laurence was talking longer to René than she was to her brother; within a year, she was making plans to join René in Napa Valley. René left his native Switzerland to attend college and play Division I tennis at Trinity University in Texas. After graduation, he worked in Germany several years before returning to America for graduate school at the Thunderbird School of Global Management. By the time he completed his Master’s degree, his father Jack had become a partner in Merryvale Vineyards, so René decided to move to California and experience a taste of the wine business. He took a job in the Merryvale cellars and worked his way up to learn every aspect of the business, from winemaking and hospitality to wholesale distribution. He spent many years managing winery sales, and in 2008, he took the helm as CEO. “You can never rest on your laurels,” says René. His drive and clear-headed leadership have guided the family business through several forward-looking initiatives for the 21st Century, paving the way for a sustainable future that honors the traditions of the past. Laurence is a sixth-generation vintner who began blind tasting with her father Marco Grognuz at the age of 14. Every night at dinner, Marco would bring out a decanter of something new for the family to discover and explore together. Because winemaking in Switzerland was still a career path largely reserved for men, however, Laurence studied finance and accounting in college and began her career in those industries. When she and René became a couple, Laurence took a leap of faith and followed him to Napa Valley with limited English, but unbounded curiosity and determination. 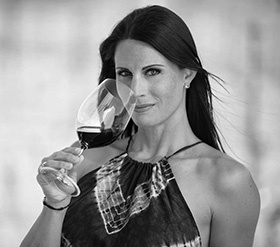 After just a few years, she had mastered both English and Spanish, completed an Associate’s Degree in winemaking and viticulture, earned certifications in tasting room management and sports nutrition, and established deep new roots in her adopted home. Today, Laurence is actively involved in the St. Helena community, volunteering at her children’s schools and supporting local charities. She also lends her creative élan and vision to almost every aspect of the family business, from blending wine to social media. In addition to lifelong passions for skiing, tennis and fine wine, René and Laurence share a commitment to hard work, honesty and integrity. Their family and estate were built upon these core values, and the legacy will one day be passed to the next generation — René and Laurence’s three daughters. 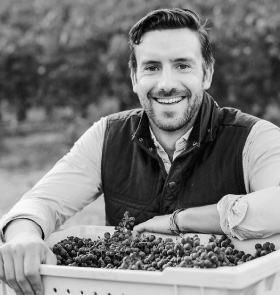 Ask René’s father Jack Schlatter about his days selling cotton in Hong Kong or tasting coffee in Brazil, and he will quickly steer the conversation back to his favorite passion: great wine. Jack is a self-made man who spent most of his life working hard in industries that held no particular excitement for him. At a certain point, he decided to shift gears and invest in a business he actually loved. A real estate deal introduced him to Bill Harlan and the other Merryvale founders, and Jack saw his opportunity. He joined the Merryvale founders as a partner in 1991, building the winery’s international presence with the import/export connections he had established with his cotton business. 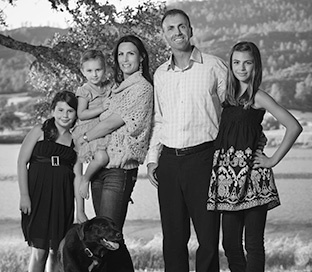 A few years later in 1996, Jack and his family became the sole owners of the winery, and the Schlatters began to create a true family estate. 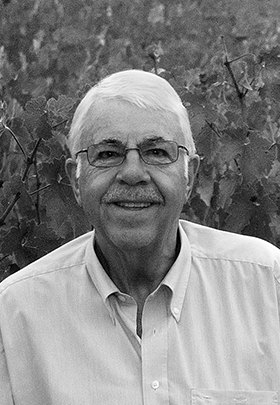 Twenty years later, the Profile Estate Vineyard and Stanly Ranch Estate Vineyard are a testament to Jack’s passion and tireless commitment to quality. Though his son now handles CEO duties, Jack is still very much involved in the family business, offering counsel and support wherever needed. He lives in Vevey, Switzerland with his wife, Lilo. Simon grew up in Lyon, Champagne and the Rhône Valley of France, literally surrounded by fine wine and cuisine. He started cooking for himself around age 9 — during his mother’s three-week diet of fish tagine — and enjoying wine in his teens. 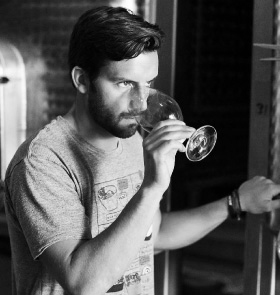 After studying viticulture in Torino, Italy, he obtained a master’s degree at the University of Bordeaux and spent the next few years working abroad in some of the world’s greatest wine regions, including Barbaresco, Barolo, Bordeaux (Domaine de Chevalier, Château Pichon Longueville), and Mendoza (Bodega Michel Rolland). His Napa Valley resume includes harvests at Robert Mondavi, The Napa Valley Reserve, Harlan Estate and Merryvale, where he met the Schlatter family in 2012. Balancing the natural inputs in the vineyard — light, water, temperature, soils — is essential, and allows a winemaker to leave the lightest possible handprint. 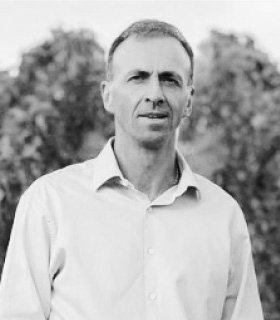 Simon is intimately involved in the farming of the Profile Collection estate vineyards, and monitors the scientific aspects of viticulture and winemaking with exacting precision. At the same time, he relies on his natural intuition to understand what the grapes and wines are telling him, and to make appropriate decisions. “We don’t speak in terms of numbers — we speak vine by vine.” Each vintage presents a new opportunity to improve, and Simon relishes the challenge of each new year.